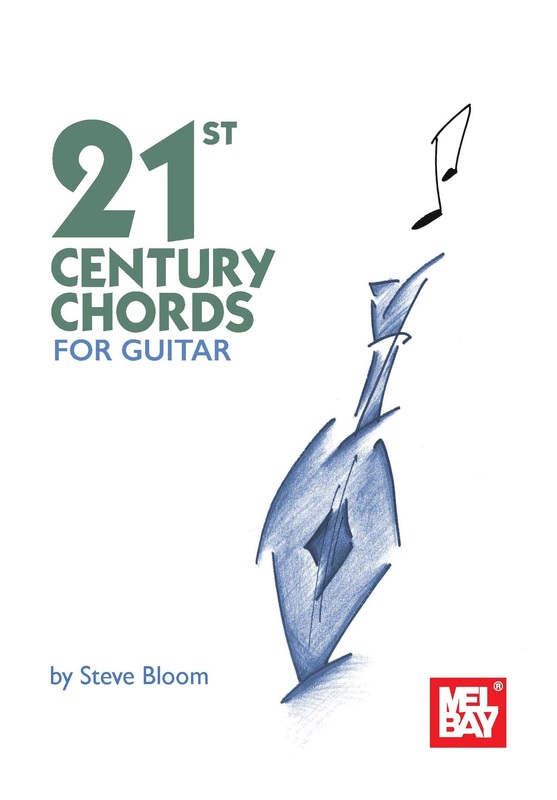 Hello and welcome to 21st Century Chords For Guitar! I hope you will find this material fresh, informative and ear opening. This book offers a new perspective on guitar chords. The kinds of chords that most guitarists are taught I would classify as traditional. The standard chords work to “get us through” any accompaniment situation, e.g. gigs and rehearsals, just fine. However, I think that there are more expressive possibilities to be found. In these pages you will see that the guitar is much less limited, chordally, than is generally realized. I have used the theories of 12-Tone music, also known as Atonal Music, to generate voicings of all the possible playable “note groups” on the guitar. While I was writing out these chords I learned much more about voicings and the visualization of the fingerboard than I expected. I had no idea it was going to have such a great effect on my own playing. I hope you will have a similar experience by delving into these concepts. My main reason for searching out this information was to improve my own conception of chords on the instrument, and it turned into something I felt would benefit all guitarists. Many of the chords in this book are variations of the traditional chords. However, if you dig deeper into the book you will also find interesting voicings for many of these “every-day” chords. Also you will find very unusual sounding chords that you probably wouldn’t figure out using other methods. My goal is to help change the way we as guitar players think of chords on the instrument so check it out! "Anyone looking for a way into non-tonal, non-traditional sounds on the guitar will find a great resource in this well-organized, comprehensive book." "This is the most comprehensive chord compilation I have ever seen to date. Steve has put together an easy-to-understand text in a creative, useful way!" "I imagine that virtually any guitarist would find these chords opening up new harmonic worlds and generating all kinds of wonderful ideas!" "I had thought it would be interesting to parallel the theoretical approaches of Forte, Babbitt and Perle to the guitar's unique realization of chordal possibilities, especially with the relative ease of their transposition transformations. It seems you have already done all the hard work - no doubt providing a new perspective on the guitar fingerboard and the visualization of its potentialities and limitations. Congratulations!"